Grab a friend tonight – see Cate Blanchett in Oscar-tipped ‘Blue Jasmine’ in Beckenham, a January treat for grown-ups! PLUS scrummy local SIMPLY Ice Cream! Awarded a Golden Globe for Best Actress in Hollywood last Sunday, Cate Blanchett’s stunning performance in ‘Blue Jasmine’ is well worth treating yourself to TONIGHT. Also starring Alec Baldwin. Tickets only £7 – FREE parking. A keenly-priced café/bar from 6.40pm and film programme starts at 7.30pm. Age 16+ only. On our HUGE screen in the fabulous Bromley Hall. Book here now: http://www.ticketsource.co.uk/filmboxcommunitycinema – at Langley Park Centre for the Performing Arts, South Eden Park Road, just across from Eden Park train station. 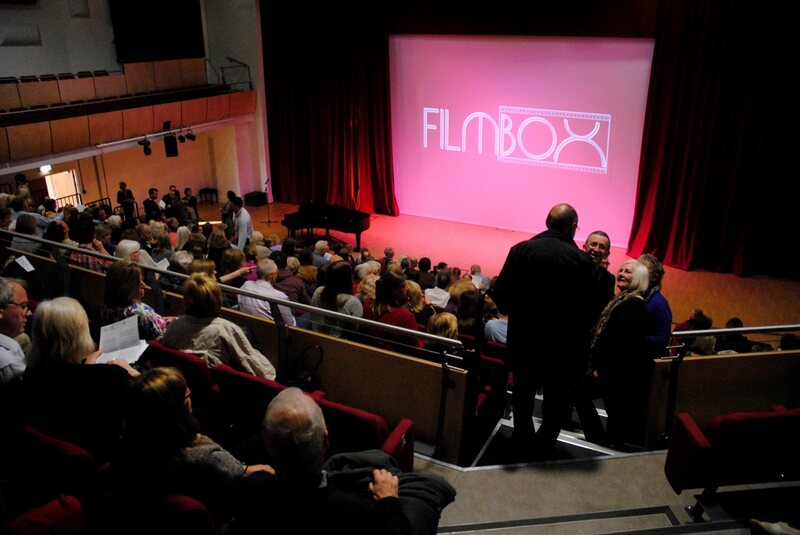 No adverts or popcorn mess – a social cinema for grown-ups – all local Beckenham/Bromley, SE London community very welcome! This is a special pre-DVD release. Did we mention the ICE CREAM!?! Coffee time? Book tickets now for Cate Blanchett in ‘Blue Jasmine’ tomorrow in Beckenham, a January treat for grown-ups!